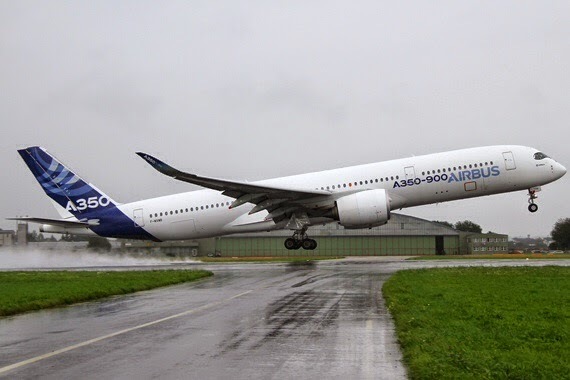 A350 XWB News: A350 prototype first time in Austria because it was raining. 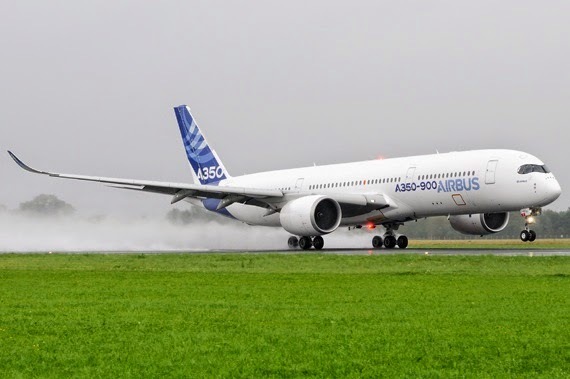 A350 prototype first time in Austria because it was raining. The MSN1 prototype has visited today Linz Airport in Austria in the first visit of the A350 to the country. Some wet-test have been completed in Linz as it was raining with a temperature of 13º Celsius. 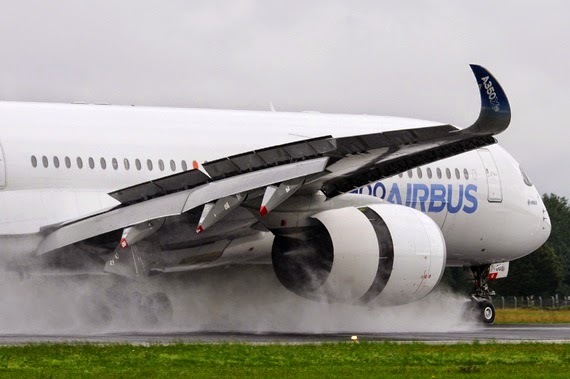 This wet tests (2 landings and 2 take-offs) are done to test the behavior of the aircraft under wet conditions. 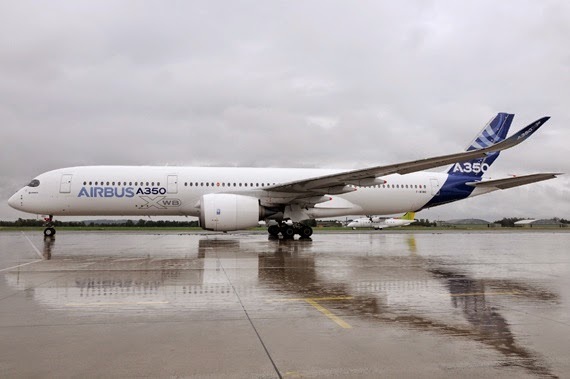 In it´s way back to Toulouse, the A350-900 first prototype (equipped with Flight Test Instrumentation) has visited the Graz airport in Austria too. 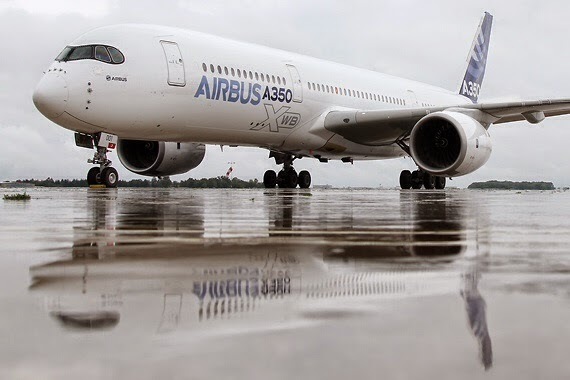 The Type Certification of the A350-900 is expected in coming days. A photographer team of “Austrian Wings” has been attending this special visit to Linz with many quality-pictures available here. Based on the article “Fotobericht: Airbus A350-900 zu „Nasswetter-Tests“ in Linz” published in Austrian Wings. By the way, Type Certification now scheduled for end-September. Some workpackage are late answering EASA-audits findings.